Surrounded by Natural water body on all sides. Merlin Iland: This is what dreams are made of! Kolkata, the city of culture, of literature, of history. Kolkata, the city of modern times, perhaps the most developed city in the Eastern parts of the country. Where the people embrace the new and blend it beautifully with the existing. 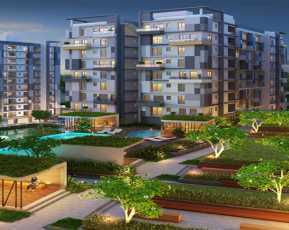 The city is witnessing a revolution in modern-day development and is moving up notches when it comes to lifestyle status here. To truly global standards. One marvellous phenomena is an island-styled life, yes – unbelievable but true – in Kolkata! Welcome to Merlin Iland! 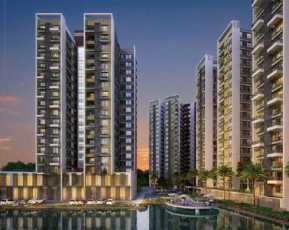 Live by the waterbodies, just 1.4 km from Ballygunge Phari. Nearby are malls, multiplexes, schools and hospitals, so you have nature and social infra both – a rare combination! Some of the popular names here include Ruby Hospital, Science City, Birla Mandir, Quest Mall, Ballygunge Shiksha Sadan, Modern High School, Heritage School and Calcutta International School, Pantaloons, etc. Merlin Iland Kolkata has over 20,000 sq. ft. of land space. 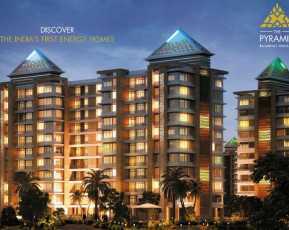 Here, there are exclusive apartments, just 117 in number. It’s a picnic garden literally! 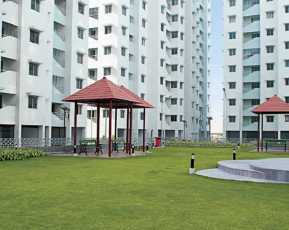 The maximum flats have open terraces to gaze out at expansive natural spaces. 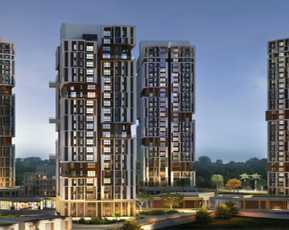 The homes are arranged in two towers of B + G + 24 and B + 12 heights. 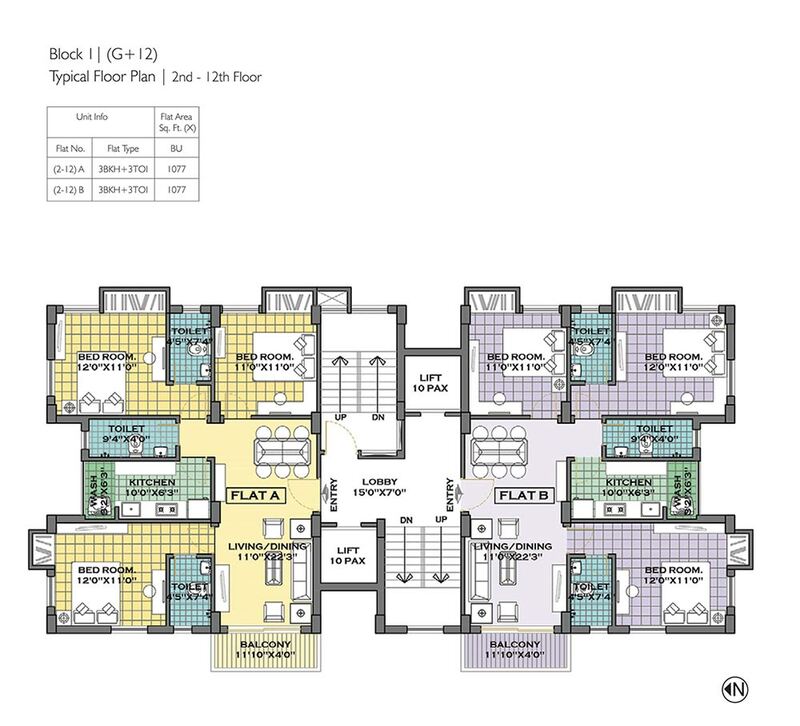 The homes are 3 and 4 BHK expansive sets and are plush indeed. They are completely air-conditioned for that touch of luxury. Each home has a video door phone and lavish finish, complementing the spacious and detailed layouts that have two or three sides open for free cross ventilation! The facilities inside the project are envious indeed! The club facilities here are remarkable. There is an AC gym, a health club, community hall, indoor games room, and even a rooftop garden and a rooftop swimming pool! If that isn’t talking to the stars, what is? Kids have their own play-area, a water lily pond goes well with the water that surrounds the island project. There are separate lifts for passengers and service, and dedicated basement parking makes way for more open greenery on the podium level. Serene, quiet, tranquil and even energetic, this zone is a boon for all. The Merlin Iland price can be had on request, but paying for one property here is like claiming your slice of haven. Since they are quite limited, the abodes here will run out of stock very soon. Merlin has surely woven magic in this one at Kolkata!